Occupy Biology: 1% of the species in your yard get all of the glory. Discover the amazing hidden lives of the other 99% of living things that surround you. Sustain-A-What: Make the link between nutrient cycling and fertilizer use. Learn more about who’s eating whom in your garden’s food chains. Enjoy applied ecology for gardeners. Geek Out: Are you obsessed with science, history, video games, or books? There’s a way to geek out about that in the garden. Check back to this page for inspiration for theme gardens to match (almost) any obsession. We Can Do It: Biology is for everyone! Learn how to set up experiments and participate in citizen science projects (or start your own!). Have fun doing biology in your yard. As a full-time research associate in an agricultural entomology lab, I may be a bit slow to post during the peak of my summer research season, but I hope you will follow me on Twitter to get updates when I do. 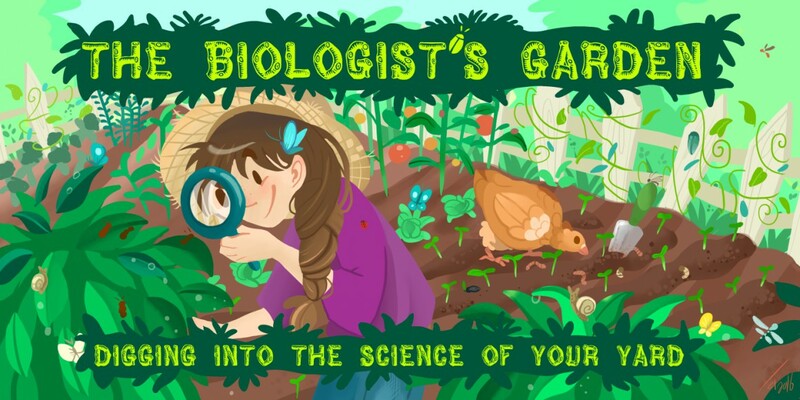 This blog will be a fun place for biology nerds to learn more about gardening, gardening nerds to learn more about biology, and everyone to become a little of both.